Similar to last year, we are seeing a new Snapdragon processor at the end of the year. This time, we get the Qualcomm Snapdragon 836 SoC and as we all expected, this is not a major upgrade from Snapdragon 835. Snapdragon 836 actually is just a minor revision to the Snapdragon 835. The difference in performance might not noticeable since the new chip receives just a small clock speed bump. The good news is that the chip has a more efficient battery life management. So now, we can confirm that the Snapdragon 835 still powers most Android flagships of the year 2017, the Snapdragon 836 fills up the high-end devices in late 2017 and early 2018. Later, we will start seeing the new-generation chip, probably Snapdragon 845, on 2018 flagships. Now, let’s check out some phones powered by Snapdragon 836. The two Pixel phones share a lot of features and specifications. The design is also refined from their predecessors, now we’re seeing thinner bezels; this is the most prevalent design trend of the year and I’m glad it is brought onto the Google phone. The smaller Pixel 2 phone is made by HTC while the Pixel XL 2 is made by LG. The Pixel 2 has a smaller 5-inch screen and it will borrow the squeezable feature from HTC U11. 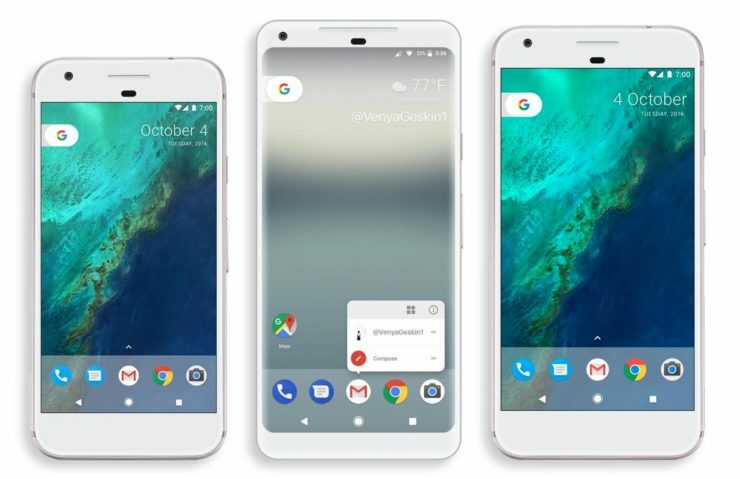 The Pixel XL 2 has a larger 6-inch OLED screen. Both have 4GB of RAM, 64GB of internal storage, always-on displays, and no headphone jack. They are going to ship with the newest Android version which is Android 8.0 Oreo. We’ll be updating this article, so be sure to check back and see more Snapdragon 836 devices.